Our goal is to provide the most energy efficient windows that are also easy to clean, durable and maintenance free. Don Young double hung windows are constructed of thick aluminum walls that provide the best choice for strength and durability. These replacement windows also have a durable coat and paint finish tough enough for all seasons, helping to keep your home cooler in the Summer and warmer in the Winter. Our goal is to make the most efficient, easy to clean, durable and maintenance free windows possible. From our thick aluminum walls, which provides the best choice for strength and durability to our durable powder coat paint finish-tough enough to stand up against the hardest of Summer and the coldest of Winters. No need to worry about painting these windows. 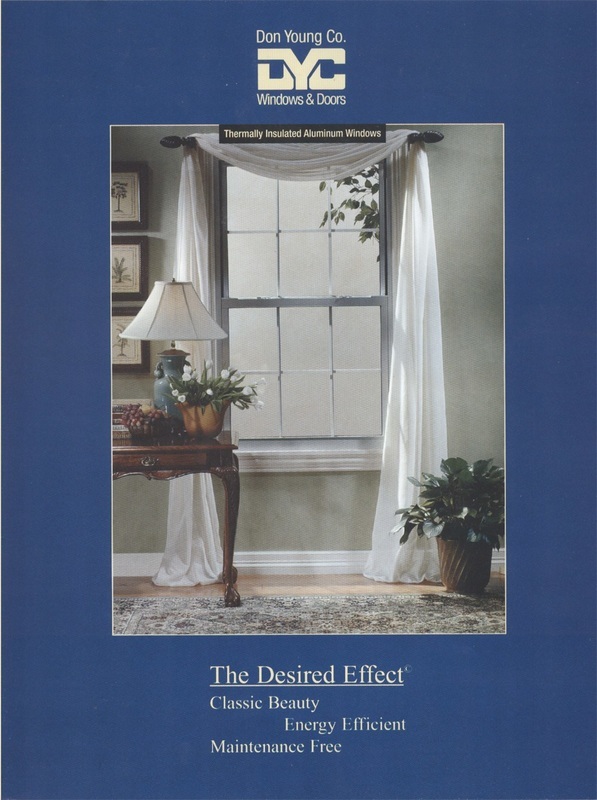 Best of all, a superior insulated glass system that provides optimum energy performance and outside noise control. We can also offer an optional solar control glass that offer protection against UV rays and scorching Summer heat. All backed by our limited lifetime warrenty. ¾” insulated glass provides year round energy savings and an excellent sound barrier to outside noise. Aluminum glazing bead for added durability and security. Bottom sash tilts inward for safe and convenient cleaning. Continuous interlock provides a tighter seal greatly reducing the amount of dust and pollen entering your home. Weather-stripping virtually eliminates air, dust and water from entering your home. .03 CFM. Metal spiral balances for dependable smooth trouble free operation. Child resistant tilt-in latches for added safety. Powder coat paint finish for a tough, durable smooth finish. Available in white, bronze, tan, and Silver. Polyurethane thermally broken sash and frame dramatically reduces heat and cold transfer. Helps minimize condensation. 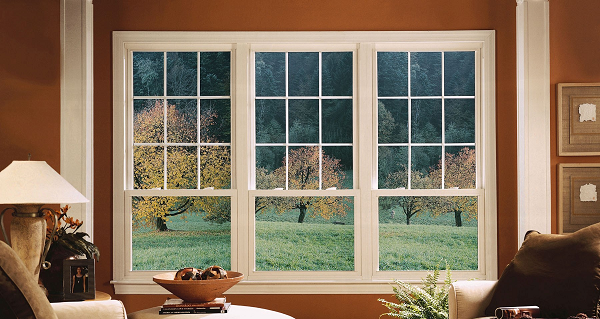 7/8” insulated glass provides year round energy saving and an excellent sound barrier to outside noise. Wrap around marine glazing blocks out cold air and water infiltration, and easily replaces in the event of glass breakage. Both sashes can ventilate or tilt-in for safe and convenient cleaning from inside your home. No need to clean from dangerous ladders. Interlocking meetings rails for tighter seal and added security. 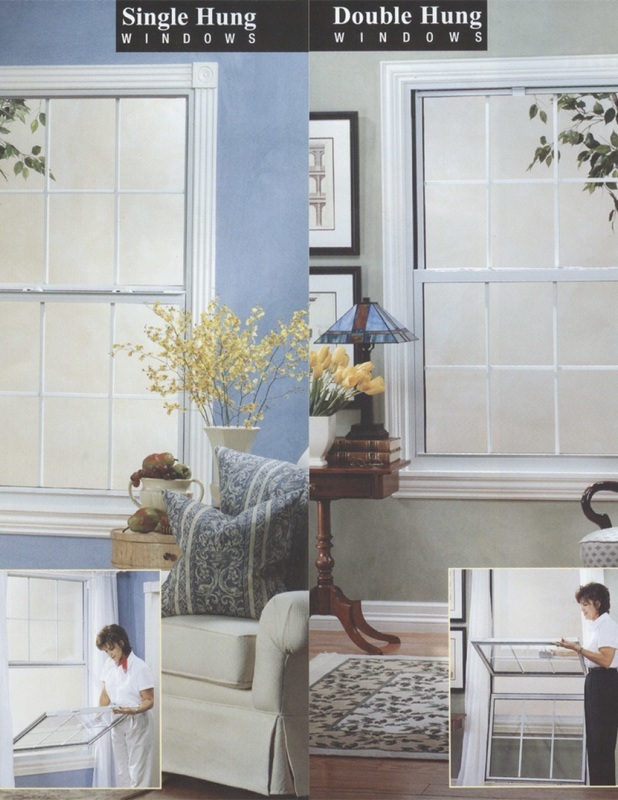 Weather-stripping virtually eliminates air, dust and water from entering your home. Metal spring balances for dependable smooth trouble free operation. Powder coat paint finish for a tough, durable smooth finish. Available in white, bronze, and tan. All Covered Under Limited Lifetime Warranty.